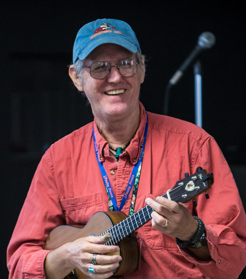 Curt is professional musician, graphic artist, author, private ukulele and guitar teacher etc... As a musician Curt has over 40 years experience and over 20 years as a private teacher. Curt Sheller Publications was created by Curt Sheller (me) in 1995 and has been on the web since. I have over 40 years of playing experience and have been actively involved in private music education for the past 20 plus years. A serious student of jazz guitar since 1978, I have been researching jazz and contemporary guitar, studying with the amazing and talented Chuck Anderson for over 30 years. My studies included arranging, private teaching, 20th-century harmony, and performing and working successfully with other musicians. 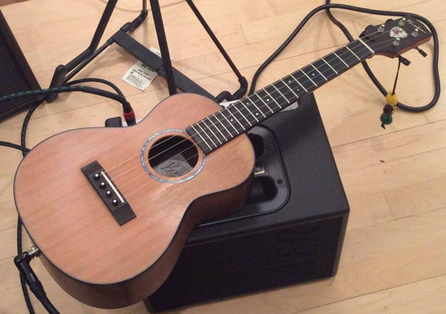 Some years back, I started bringing a ukulele to the lessons, since I'd become, by then, totally turned on by the 'ukulele, and tuned-in to all its possibilities. My journey exploring the ukulele began in 2003 on a CampFire USA trip to South Dakota planned by my wife, Bernadette. 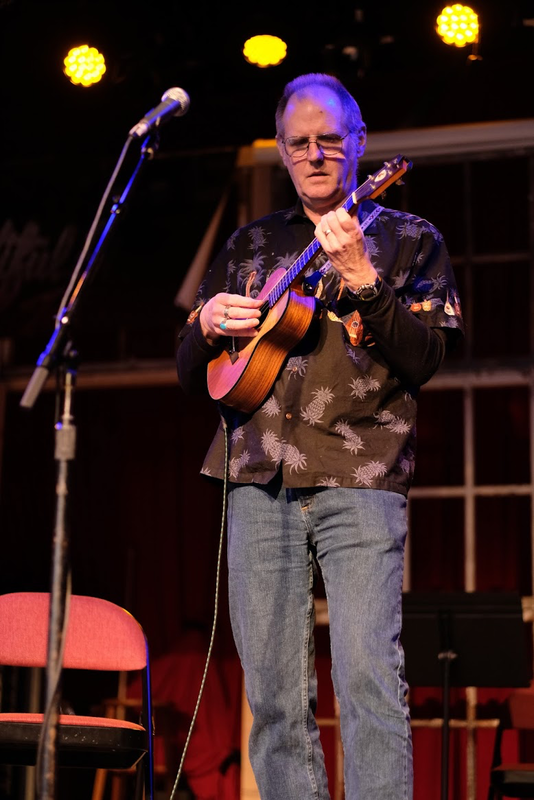 I'd searched the Internet® for a small travel guitar to bring with us, and rediscovered the ukulele instead — an instrument I'd toyed with twenty years earlier. But now I felt I finally had some skills and knowledge to “figure it out,” and thus began my love affair with the 'ukulele. Finding little material organized at a level that works for intermediate to advanced players, I decided I could fill that gap and help the 'ukulele community as well. 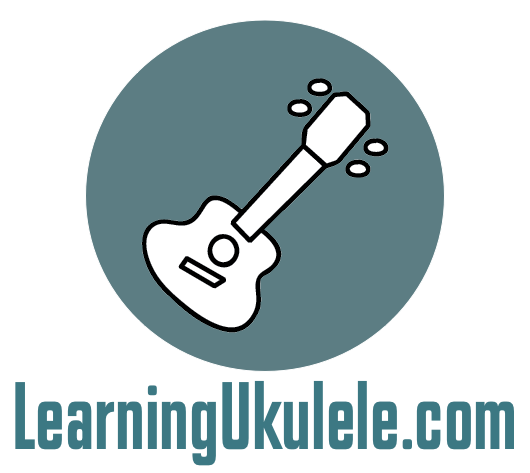 I've gone on to develop an international reputation as a ukulele expert, having written over 30 books and over 600 lessons for the ukulele and ten plus books for guitar. "Thanks to Chuck for his assistance in editing my books and on-line lesson material, and for being an invaluable asset leading up to the recording of this CD. 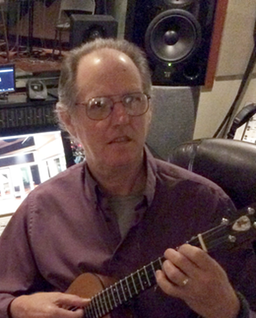 Chuck helped me whip the charts into shape and allowed us to record his great song Rain Shine." I believe that the key to success in any field is, to a large extent, as simply as doing quality exploration over and over. And hooking up with the right teachers and mentors. And I thank and credit all who have helped round out his experiences and learning – especial Chuck Anderson. 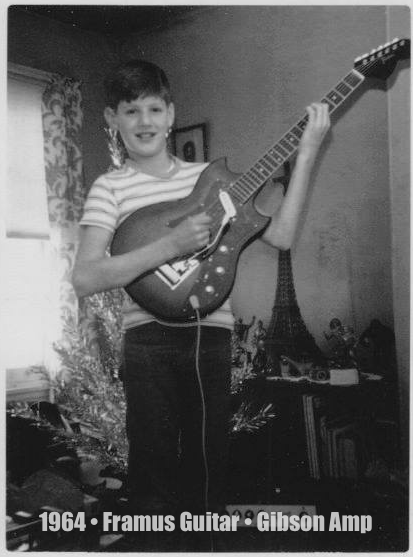 1964 - Thanks Dad for getting me that first guitar.